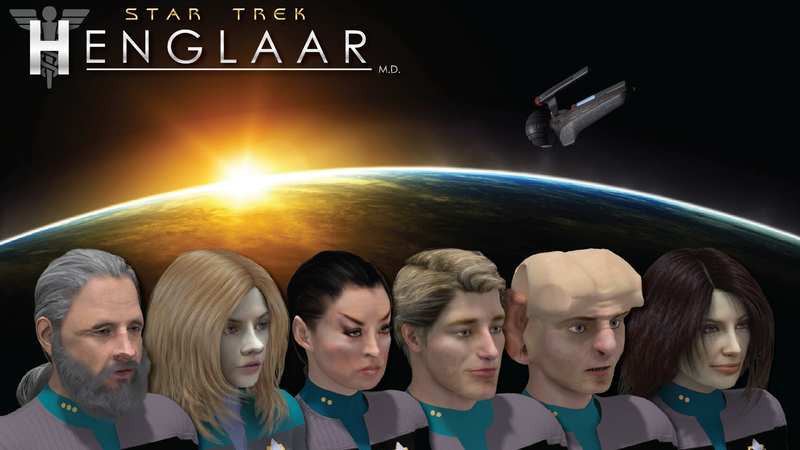 We are pleased to announce that the first season of Hidden Frontier Productions’ audio drama Star Trek: Henglaar, M.D. is now available for online streaming and download. Episodes can be listened to on their respective pages. They can also be downloaded from their pages on Spreaker, our audio hosting provider – just click on the album artwork on the left of the player. We anticipate that Star Trek: Diplomatic Relations will be online by the end of May 23, 2015. We also anticipate that HFP’s new RSS podcast feeds for these shows (one each) will be online by that time.